The U.S. News Short List, separate from our overall rankings, is a regular series that magnifies individual data points in hopes of providing students and parents a way to find which undergraduate or graduate programs excel or have room to grow in specific areas. Be sure to explore The Short List: College, The Short List: Grad School and The Short List: Online Programs to find data that matter to you in your college or grad school search. While not all families pay full sticker price, one thing remains the same: The cost of college goes up every year. On average, tuition and fees at private colleges cost $34,699 in the 2017-2018 school year – that's 3 percent more compared with the average from last year, according to data reported to U.S. News by 729 ranked private schools in an annual survey. Students paying full price at Columbia University shell out the most of any private school, forking over $57,208 in tuition and fees for the 2017-2018 school year. Last year, the New York school charged $55,056. The cost of attending one of the top 10 most expensive private schools in 2017-2018, on average, amounts to $54,817 in tuition and fees for those who pay at the full rate. 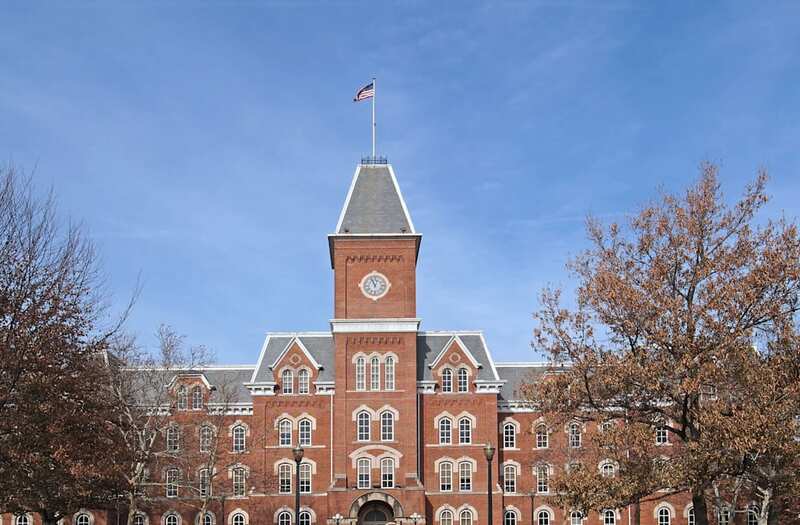 That's nearly a 4 percent increase from last year's average among the top 10 priciest schools. At the opposite extreme of college costs, the least expensive private colleges in 2017-2018 charge an average of $10,624 in tuition and fees. But prices did jump by 5 percent among the least pricey schools compared with last year. Brigham Young University—Provo carries the lowest price tag among private colleges and universities that reported tuition and fees data to U.S. News. The Utah school, which is led by the Church of Jesus Christ of Latter-day Saints, charged $5,460 in tuition and fees for church members in 2017-2018. The price is double for non-Mormons: $10,920. But not all schools charge tuition. A small number of tuition-free schools, not included on this list, waive tuition. Berea College in Kentucky, for example, offers all of its students a tuition scholarship; but these students are charged $560 in fees for the 2017-2018 school year. Alice Lloyd College, also in Kentucky, waives tuition for its students who are from a Central Appalachian state – Kentucky, Ohio, Tennessee, Virginia and West Virginia. But it is included in the list, as students outside the region pay $12,050 in tuition and fees for the 2017-2018 school year. Among the least expensive private colleges, the majority are in a southern state such as Mississippi, Kentucky, Arkansas and Alabama. Half are in the bottom one-fourth of their ranking category. Unranked schools, which did not meet certain criteria required by U.S. News to be numerically ranked, were not considered for this report. * RNP denotes an institution that is ranked in the bottom one-fourth of its ranking category. U.S. News calculates a rank for the school but has decided not to publish it. Don't see your school in the top 10? Access the U.S. News College Compass to find tuition and fees data, complete rankings and much more. Sign up for the U.S. News Extra Help: College Admissions free email newsletter to receive expert advice twice a month. U.S. News surveyed more than 1,800 colleges and universities for our 2017 survey of undergraduate programs. Schools self-reported myriad data regarding their academic programs and the makeup of their student body, among other areas, making U.S. News' data the most accurate and detailed collection of college facts and figures of its kind. While U.S. News uses much of this survey data to rank schools for our annual Best Colleges rankings, the data can also be useful when examined on a smaller scale. U.S. News will now produce lists of data, separate from the overall rankings, meant to provide students and parents a means to find which schools excel, or have room to grow, in specific areas that are important to them. While the data come from the schools themselves, these lists are not related to, and have no influence over, U.S. News' rankings of Best Colleges, Best Graduate Schools or Best Online Programs. The tuition and fees data above are correct as of Sept. 12, 2017.